On 29 September, 2018, Prime Minister Narendra Modi said, NDA government has focused on the development of every segment of society in the past four years with the mantra of Sabka Saath Sabka Vikas. He said this while interacting with booth-level workers through video conferencing from Bilaspur, Basti, Chittorgarh, Dhanbad and Mandsaur Parliamentary constituencies under the "Mera Booth, Sabse Majboot Samvad" programme. Mr Narendra Modi pointed out that after demonetization, black money is not present in the property market. He said that prices of property have also fallen and home loan interest rate, which was more than 10 per cent under UPA, is now 8.75 per cent. He added that prices have fallen after GST. He said rebate on income tax and relief on saving has been increased. He expressed confidence that Ayushman scheme will not only succeed but will create a new history. The Prime Minister highlighted that violence in Naxal-affected areas has reduced by around 20 per cent in the last four years. He said around 3,500 Naxals surrendered between 2014-2017 due to the impact of government's policies and development. He said, political parties rarely get a chance to interact with booth-level workers, who know the ground reality, with the medium of technology. Mr Narendra Modi stressed that the programme is very important to him as it is only through the workers of a party that one gets to know about the essence of the nation. 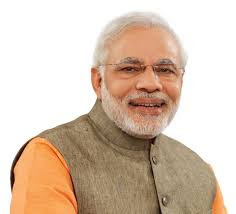 Hitting out at Congress, the Prime Minister said, the opposition party has been disconnected with the people in past four years. He said, Congress has failed as an opposition party. s attention. He stressed that the NDA government has been able to bring and carry out tough decisions because the general public has full trust in it. The Prime Minister also asked the BJP workers to salute soldiers with 21 claps.